In the past, we have given you some valuable tips on how to get through your application process already. Writing a good cover letter or excelling in setting up your resume were more writing based, while these tips for your job interview and questions to can ask your potential new boss were more practice oriented. We even had some tips for writing an essay for your college application! Now, let’s take a step further and look at some useful advice that will help you tackle problems that arise when you re employed. Today, I want to tell you about the top 6 things you should avoid when writing official or business emails! Lets start at the beginning. An incorrect greeting can be the beginning of the end already. A too informal or nonchalant greeting can be wrong sign sent to colleagues, bosses, clients, and business partners. While it’s completely okay to start emails to your friends and family, or colleagues you know a bit better, with “Hi” or “Hello Justin”, official emails should bear a formal and respectful greeting. Slang and casual language should not find their way into a business letter or email. Otherwise, it is quite likely that the addressee feels like he or she is not taken seriously. Or – just as bad – that he or she won’t take serious what you have been writing. Try to express yourself as calmly and professional as the occasion suggests. Just as important as an appropriate speech and usage of terms is the correctness of the written text. Spelling and grammar mistakes may convey a low level of intelligence – or even worse: disinterest. Typos show your addressee that you were in a hurry writing your mail, not taken the time for it you should most probably have put into it. Thus, using a free spellchecking service before sending your mail should be mandatory. Malware, viruses, spam… Mails are a popular source to spread infected infected material. Thus, it is important to state whether you have added an attachment to your email and what kind of file, document, or information it contains. That way, the receiver of the mail can be sure that the attachment is safe and trustworthy. There is indeed a big difference between “To”, “CC”, and “BCC”. Every address added as “To” will receive the email as “first priority”. Addresses added in “CC” will receive a copy of the email. Oftentimes this is treated as some kind of “fyi”. The rule of thumb here: rather put more people into “CC” than not enough. Rather inform more people than necessary than risking leaving someone important out. “BCC”, however, is a more special case. Addresses put under “BCC” – contrary to “CC” or “To” – are not visible to the other addressees. It should be used with caution though. Nobody wants to find out that an email he or she received was sent to someone “hidden” as well. Certain legal and company information in email signatures are mandatory in many companies, and depending on the amount of information, they can be very long. In most cases this is unavoidable. 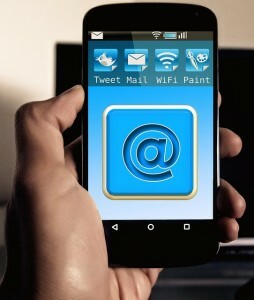 In all cases, however, should the email signature not distract from the content – or even irritate the reader. Color highlighting, pictures other than company logos, or even animated gifs or embedded videos can quickly become very annoying. Keep the signature clean of unnecessary information, and by using a neutral font and size, calm and non-distracting.